In my 66 years on planet earth as a citizen of Nigeria. I have been privileged to meet outstanding/exceptional young Nigerians who are wired with immense potentials only needing proper guidance and encouragement provided by someone they can connect with, a Big brother or Fada figure leader. As The AreaFada I believe that my divine role is simply to connect the dots and inspire a generation that a better future is possible – if they dare. I thank God that my life and struggles through my tenacity, consistency, and sagacity, have inspired millions to chase their dreams. Today in Nigeria, take it or leave it, those who make up the only moral voice for the masses and all disenchanted peoples of our great nation are the exceptional youths of the #OurMumuDonDo movement. Also, the young Nigerians in the diaspora who have clearly distinguished themselves in their different fields of endeavor, have not only proved their mettle to the world but they have also placed Nigeria in a good light before the nations of the world. Time and time again, these youths have shown that indeed, a better Nigeria is possible. The exceptional youths of the OurMumuDonDo movement have proven to the world that it is not the size of the army that counts but the tenacity of the few. 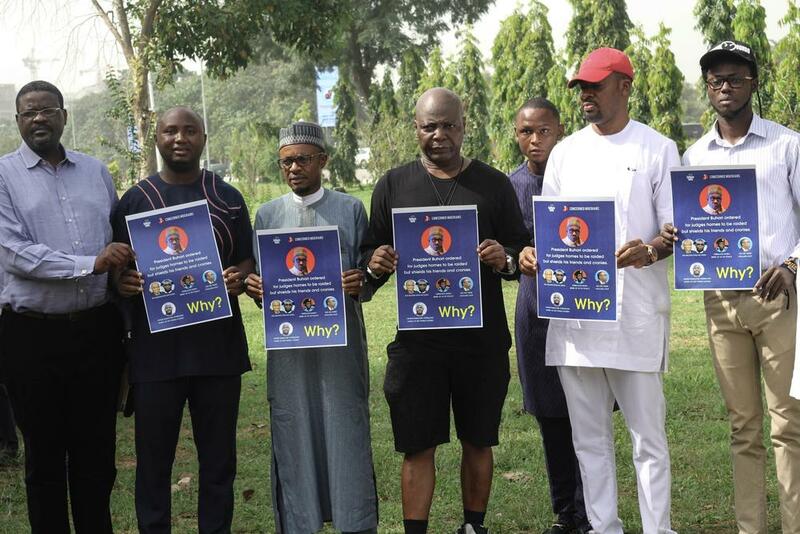 It is on record that when President Muhammadu Buhari was away in London wasting taxpayers money on an undisclosed ailment, it was the exceptional Nigerian youths of the #OurMumuDonDo movement that forced him back to Nigeria to carry out his presidential duties. One hand. Though the price these exceptional youths paid for their highly commendable feat was too steep. How can I forget the young man who took multiple dagger stabs while shielding me. Their courage I will never forget. Again, for the past two weeks, these same youths have been asking the president to #ActOrQuit; to take decisive action against corruption. When president Buhari refused to disclose the content of the SGF report directly involving the former SGF Babachir Lawal and former DG NIA Ayodele Oke, both of them yet-to-be dismissed at the time, it was these same exceptional youths who drummed up such loud campaign #BuhariActOrQuit, before the president eventually sacked the rogues. Still, these youths have insisted that the president must disclose the content of the infamous SGF report and also ensure that Lawal and Oke are duly prosecuted according to law. Judging by the meritorious strides of the #OurMumuDonDo youths, therefore, I am under no illusion that Nigeria is beginning to discover the critical mass that will rescue her from the accursed architects of mediocre, impunity and colossal failure in governance. Whilst the exceptional Nigerian youths of the OurMumuDonDo movement continue to stand up to evil defending the present and future of Nigeria, it is crucial for other Nigerian youths who are still sagging and dulling to rise to this call of nationalism and ensure that Nigeria does not perish during their time. Dear Nigerian youths, the time to organize yourselves into a formidable force is now. There can be no better time to rise and fight for the good of Nigeria. Those who wish to live in a Nigeria that works for everyone without any regard for ethnic, religious, or political slant must identify with the glorious cause the exceptional youths of the OurMumuDonDo movement are fighting. The only chains we have to loose is our Fear. At 66, the only thing I have decided to dedicate the rest of my life to is how Nigerian youths across the globe can reconnect, regroup, reorganize, consolidate and unify to become an indivisible force that will erect a new Nigeria that works for all. For this reason, therefore, I urge all exceptional Nigerian youths to not let this time to make Nigeria great pass them by. Be brave. Be defiant. Be daring. Be inquisitive. Be resilient. Never tolerate injustice. We must define the mood of our Nation and we must breathe life into our frustration and our shared suffering, so we can jointly fight and find a lasting solution to them. Finally, Never Give Up on our Great country Nigeria!